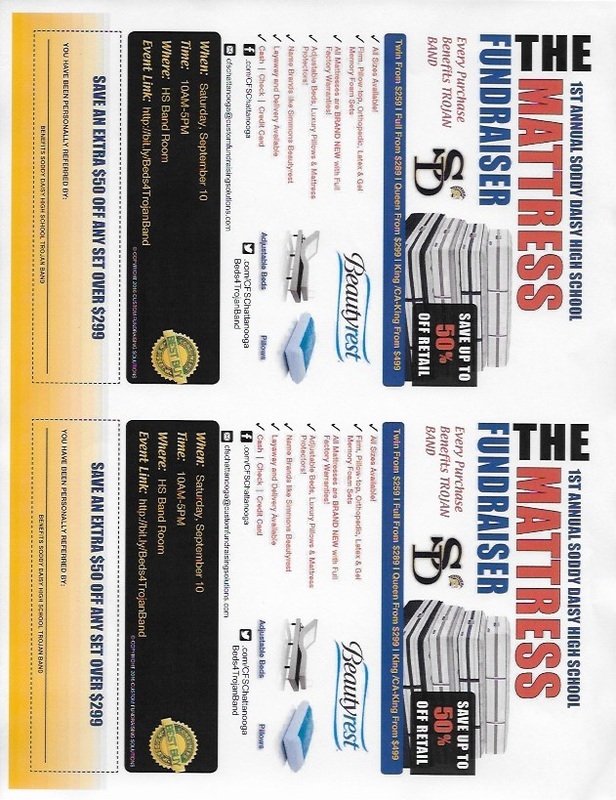 SDHS Band's First Annual Mattress Fundraiser was in 2016. 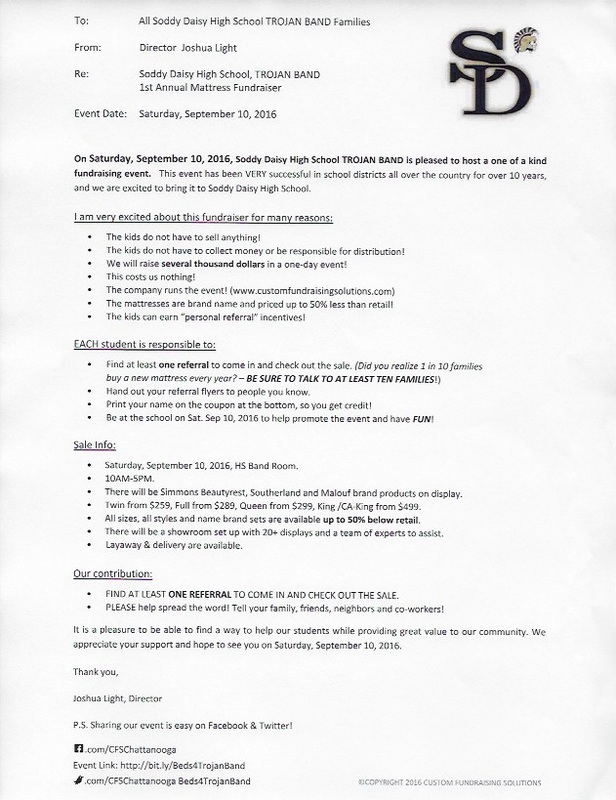 This Fundraiser only requires students to distribute flyers to notify their friends and families of the sale. The Mattress Company sets up the Band Room and does all of the "Heavy Lifting." Each customer referred by the student earns that student rewards. The funds from this Fundraiser go to the general Band Fund.